Cases have never been my thing, leading me to keep my devices straight up naked or opting for a minimalist sleeve. My go-to for sleeves has been Picaso Labs in the past and for the new iPad Pros, they've just released a new model that we've found to be particularly striking. Unlike the mass-produced sleeves you find lining the shelves at your local big box retailer, Picaso Labs makes each sleeve by hand. They use premium Napa leather in their creation which has a great feel to it and a subtle pebbled texture. Some people love the pebbled texture, though we are personally a bit on the fence. It isn't as minimalist as the smooth texture of the brown sleeves they make for Macs. It is still undoubtedly a premium leather regardless. Both the inside and the outside are leather, giving it a tough exterior that will help protect expensive contents. 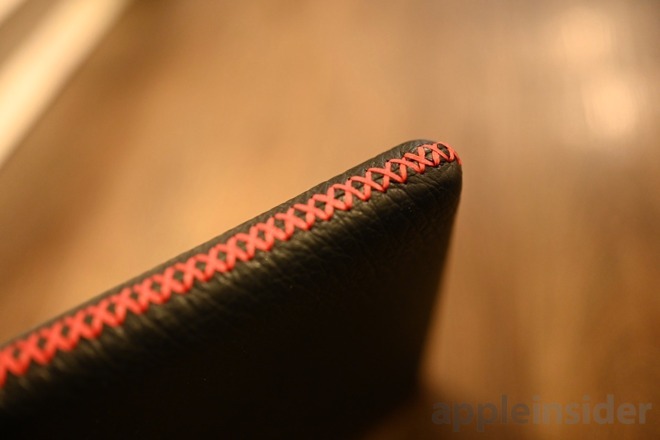 On the inside, the top portion of the opening is leather while the rest turns to a felt-like material. 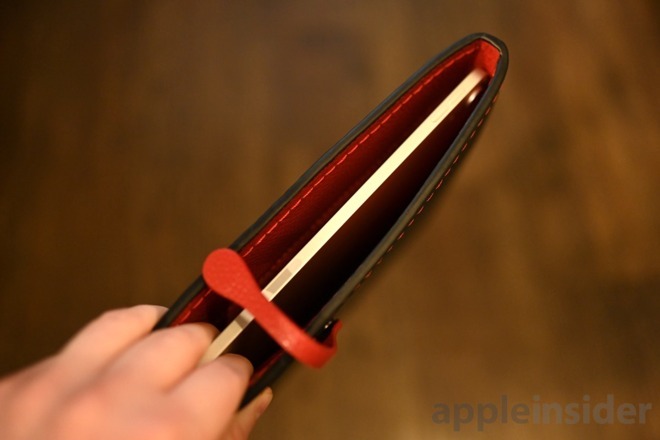 This is important because the felt will protect your iPad best, but the leather at the entrance of the sleeve provides additional rigidity and durability where the iPad will go in and out. The three remaining sides that aren't open are sealed with a criss-cross pattern made of a vibrant red threat that matches the interior. It gives the a nice blend between sophisticated and sporty. 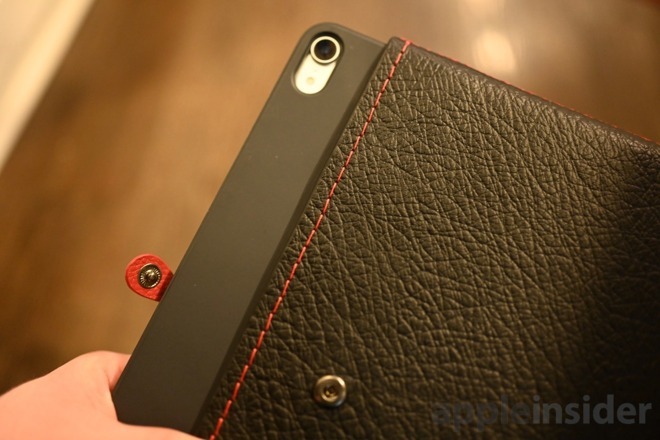 A snap is optionally used to keep your iPad Pro in place. When in place, it keeps everything where it should be as you move about, but the rigidity of the case generally serves to prevent slippage. The snap too is made of bright red Napa leather, keeping up that premium feel. Picaso Labs makes these cases incredibly precise, which means out of the gate the sleeves are quite stiff and tight when sliding in your iPad. As you use it, it loosens up just slightly to make it easier to use, but our experience with the others is that it never gets too loose. What we really love here is that these are designed to work with the Apple Smart Keyboard Folio. That lets you use both the folio and the sleeve together, and you're not forced to choose between one or the other. If you don't have the Smart Keyboard Folio, the case still works fine but it has a bit more wiggle room. If you use it without the keyboard attached, you should probably use the snap to play it absolutely safe that the iPad never takes a tumble. 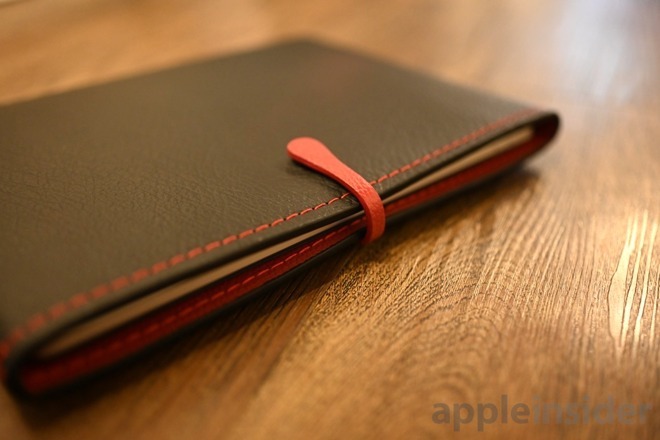 There is a lot of love and hate for Apple's own iPad Pro sleeves. They fit great but don't work with the keyboard folio. They are made of premium leather, but still have a bit of a waxy feeling on the outside. Picaso Labs' sleeves are an excellent alternative here with a slightly lower price point, a larger fit, yet still an unwavering commitment to quality. 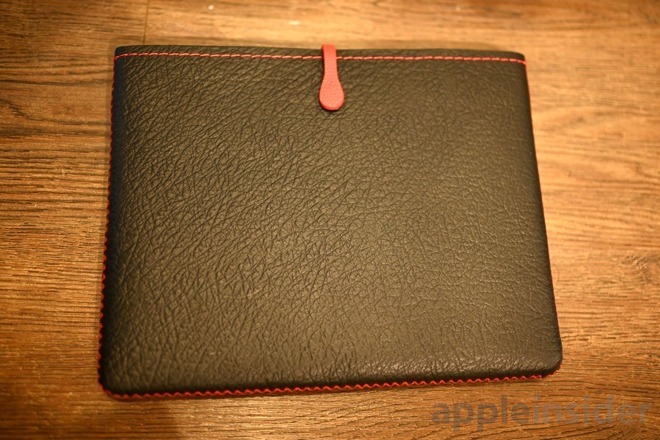 You can grab the new iPad Pro sleeve in black/red for the 12.9 and 11-inch iPad Pros. The smaller model is $92 while the larger is a slightly higher $108. AppleInsider readers can save an additional 10-percent by using code PicasoDeal10 at checkout. You can also grab any of their other sleeves on Amazon for older iPads and a variety of Macs.